Sky's The Limit: Electronic free-speech advocates are concerned about the Scientology leanings of Earthlink founder Sky Dayton and the church's history of litigation over copyright infringements on the Net. But while analysts marveled at EarthLink's phenomenal growth--including a stock price that has quadrupled since it was first offered 14 months ago--an entirely different take on the deal was being expressed on the Internet. 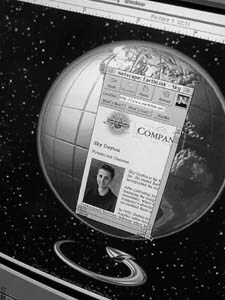 In the Usenet newsgroup alt.religion.scientology, the discussion focused on Sky Dayton, EarthLink's 26-year-old chairman, who founded the company in 1994. Watching from his home in Oregon and posting the occasional tidbit to the Web is Robert Vaughn Young. Young says he spent almost 20 years in Scientology, serving as the organization's chief of public relations and managing its vast information apparatus. Today, Young writes articles attacking Scientology. Quill, the monthly magazine of the Society for Professional Journalists, published a Young-penned how-to for getting information out of the secretive organization. Young believes that Scientology's access to the management of an ISP like EarthLink raises privacy issues for EarthLink subscribers. On one posting he warned, "now we have an ISP that works by Hubbard's practices." Young directed some of the information-gathering on Scientology's critics that he says still goes on today. LIKE JOHN TRAVOLTA, Tom Cruise and Kirstie Alley, Dayton is a Scientology star. Visible, young, smart and successful, Dayton attended the Delphian School in Oregon as a teenager, a boarding school based on Scientology principles of education. After he graduated at 16, he completed what he calls a "secular post-school management course," also based on Scientology principles. Followers of the faith study the writings of Hubbard and other sacred texts. Unlike the Koran or the Bible, however, the sacred texts of Scientology are not available at the library or at a mainstream bookstore. The church considers the texts "trade secrets" that are only to be viewed by followers who have achieved a certain level of understanding of the church's philosophies. In fact, all of these "scriptures" have been trademarked, just as though they were business secrets, by an arm of the church called the Religious Technology Center. In 1996, a San Jose-based ISP, Netcom On-Line Communication Services, was sued by the Church of Scientology, which claimed that one of Netcom's subscribers posted excerpts from Scientology's copyrighted texts to the newsgroup alt.religion.scientology. Netcom and the church settled out of court for an undisclosed sum. The church's case against Dennis Erlich, the former Scientology minister who allegedly posted the texts, is pending. Earthlink.net and Scientology: the Links. FactNet's links to current Scientologists. Ells says she didn't know about EarthLink's connections to Scientology. "From outsider looking at the company I don't see any indication of that kind of influence," she says. A competing ISP, Mindspring, Ells says, was founded by born-again Christians. Others believe that the association is a thing of the past. "They used the Scientology management style at the beginning, but it was dumped," Tilman Hausherr posts. "Probably even the most deluded Scientologists realize that you can't run an ISP like a Scientology org." From the March 19-25, 1998 issue of Metro.